The commercial building total during the first half of 2018 recorded a substantial decline for new office starts, down 52%, as well as weaker activity for hotels (down 56%), commercial garages (down 55%) and retail (down 14%), while new warehouse starts grew 6%. During the first half of 2017, projects were begun including the $300 million American Airlines Trinity campus and a $300 million Facebook data center, both in Fort Worth, the $138 million Dallas County Records building complex in Dallas and the $115 million Westin convention center hotel in Irving. 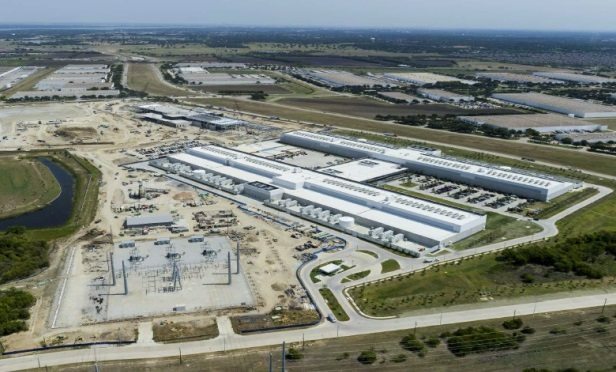 The large commercial building projects entered as construction starts during the first half of 2018 were generally smaller in scale than last year, including another Facebook data center in Fort Worth valued at $183 million and a $52 million bank corporate headquarters in McKinney, plus several large warehouse projects such as the $71 million Gateway Logistics Center at DFW International Airport. Multifamily housing during the first half of 2018 was up 7% over a year ago, led by such projects as the $135 million Skyhouse Frisco Station apartments and the $80 million Star House apartments, both in Frisco, and the $80 million Epic Hamilton residential tower in Dallas. During the first half of 2018, five of the top 10 metropolitan markets for commercial construction starts ranked by dollar volume showed increased activity compared to a year ago. Of the top 20 markets, 11 were able to register gains. At the national level, the volume of commercial and multifamily construction starts during the first half of 2018 were $101.4 billion, down 1% from last year’s first half, although still 2% above what was reported during the first half of 2016. Metropolitan areas showing decreased activity for commercial and multifamily construction starts during the first half of 2018 in addition to Dallas-Fort Worth ($3.4 billion), were Los Angeles ($2.9 billion), down 38%; San Francisco ($2.8 billion), down 38%; Chicago ($2.7 billion), down 37% and Atlanta ($2 billion), down 43%. The New York City metropolitan area, at $16.1 billion during the first half of 2018, held onto its number one ranking and comprised 16% of the US total, helped by a 44% jump compared to a year ago. Other markets in the top 10 showing growth during the first half of 2018 were Washington, DC ($5 billion), up 23%; Miami ($4.9 billion), up 34%; Boston ($3.7 billion), up 56% and Seattle ($3.2 billion), up 7%. Of these markets, the top four (New York, Washington, DC, Miami and Boston) showed renewed growth after the decreased activity reported for the full year 2017, while Seattle was able to maintain the upward track that was set in motion last year. For those markets ranked 11 through 20, the six that registered first half 2018 gains were Austin, TX ($1.8 billion), up 15%; Kansas City, MO ($1.7 billion), up 52%; Orlando ($1.6 billion), up 4%; Phoenix ($1.6 billion), up 19%; Minneapolis-St. Paul ($1.3 billion), up 34%; and Portland OR ($1.1 billion), up 15%. The four posting declines were Houston ($1.9 billion), down 13%; Philadelphia ($1.7 billion), down 13%; Denver ($1.6 billion), down 25%; and San Jose ($1.1 billion), down 37%. At the US level, the 1% drop for the commercial and multifamily total during the first half of 2018 reflected an 8% retreat for commercial building that was essentially balanced by an 8% increase for multifamily housing. Yet, after some loss of momentum during 2017, several factors appear to be providing near-term support for multifamily housing, Murray says. The US economy is currently moving at a healthy clip, with steady job growth bringing new workers into the labor force. The demand for multifamily housing by Millennials remains strong, given a desire to live in downtown areas while the increasing price of a single-family home and diminished tax benefits may be dissuading some from making the transition to single-family home ownership. As shown by this year’s surveys of bank lending officers conducted by the Federal Reserve, the extent of bank tightening for multifamily construction loans is not as widespread as a year ago.